Updated 9:00AM, Friday November 30th, 2012	by Sam Hailes, Christian.co.uk Be the first to comment! 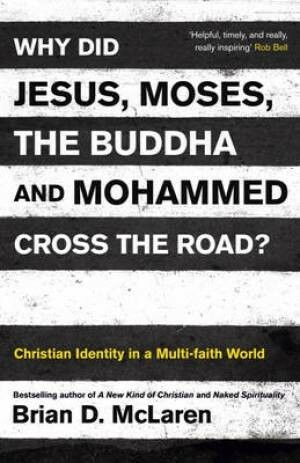 You may expect a book on other religions [Why did Jesus, Moses, The Buddha and Mohammed Cross The Road?] to deal with views on the afterlife but other than a brief reference to Rob Bell's Love Wins, the difficult topic of hell was missing from the book. What does Brian believe? One of the main messages of your new book is that it’s possible to be a strong Christian with firm views, while still being benevolent toward people of other faith. But your critics would view your Christianity as weak because they see you as theologically liberal. How do you respond? Can you have a strong and benevolent faith which loves other people while still believing they will go to hell? Is that where you’re coming from? Mark Driscoll has said you refuse to answer the question of 'Does hell exist?' Are you still friends? ...But what did Jesus teach? Am I in danger of hell then? You’ve said before that Salvation is totally by grace and judgment is totally by works. How does this effect your view of hell? Time Magazine listed you as one of the top 25 Evangelicals. How do you feel about being described as an Evangelical? You were once a Calvinist. What made you reject this theology? What’s the best Christian book you’ve ever read?